We developed SURGE Classic as part of our earlier exploratory NSF SURGE grant that laid the foundations for our current grants. Players in SURGE Classic navigate a spaceship through a variety of challenges. Students explore Newtonian mechanics by applying impulses or constant acceleration to the spaceship in real-time, thereby modifying the motion of the spaceship. The spaceship must traverse a series of challenging levels to achieve specified objectives. In order to achieve the objectives, a physics principle or principles need to be applied. The primary principles of physics at the heart of SURGE Classic include impulses, inertia, constant acceleration, vector addition, elastic collision, gravity, velocity, mass, force, projectile motion, and other associated concepts. Each level highlights one or two topics in a manner that allows students to connect the concepts together and to see the relations that exist among the topics. For example, the initial levels do not include gravity or friction. 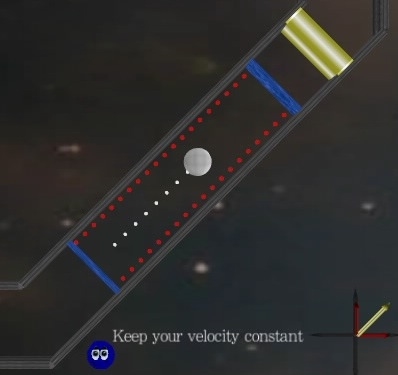 As the game progresses, however, gravity and friction are slowly introduced. This allows students to develop a firm grasp of a concept before they encounter new concepts. Surge is the primary heroine in the game. In the introductory level of the game, Surge discovers that an evil warlord and his henchmen have subjugated a race of creatures known as the Fuzzies. Surge takes it upon herself to free the Fuzzies. 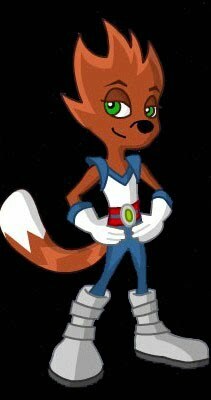 Along the way, the Fuzzies provide Surge with critical physics knowledge and skills to help her complete the challenges. The game tracks students’ scores for each level. A wide variety of factors affect the player's score, including speed, efficiency, and other level or task-specific criteria. Students can replay levels to earn higher scores and medals.